While the Companion Animal Alliance’s brand-new shelter is covered in soothing paint colors, large windows and other eye-catching finishes, development director Emily Jackson is quick to note that while the facility is beautiful, the people and animals who fill the walls are what bring the shelter’s mission to find animals loving homes to fruition. Photo courtesy Companion Animal Alliance. While Jackson notes that many people are hesitant to take on the commitment of fostering, the team has come up with a solution that is much more accessible to any animal lover: its new “Date-a-Dog” program. The initiative allows people to come to the shelter, “check out” a dog, and take it around town on walks or to get coffee, all with the goal of giving the dog some fresh air and individualized attention. Beyond the benefits for the dog, the program also boasts countless advantages for volunteers. Dogs have been shown to lower blood pressure and anxiety, while taking a dog on regular walks will also help with fitness goals and the simple act of getting fresh air. Meet our pet of the day, Freckles! She is a border collie/retriever mix and is about two years old. This fun loving girl loves to play fetch and to splash around in the water. She seems to enjoy playing with other dogs. Freckles would make a great jogging buddy. Come on by today and meet her! 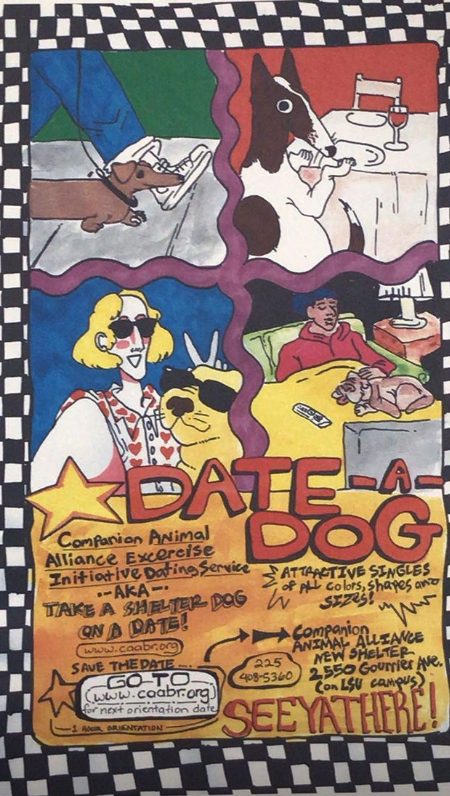 However, if Date-a-dog doesn’t fit with your schedule or interests, Jackson notes that any and every donation makes a difference to the shelter and its animals. Towels, toys, treats, and monthly giving, even if it is only five dollars, are hugely helpful in keeping all the animals that make their way through the shelter happy and healthy. The next orientation session is on February 2 at 12 p.m. For more information and to sign up, visit the event page here. And to learn more about the Companion Animal Alliance’s other programs, click here.